Dutch Passion - Frisian Dew. Free US delivery. Frisian Dew is the MOST BEAUTIFUL outdoor variety we have ever encountered. 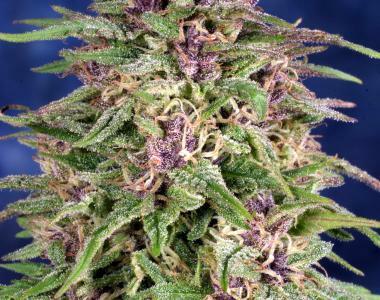 It is the product of a cross between a Super Skunk female and a Purple Star male that was seen after 3 years of selecting clones. Although we produced many Skunk/Purple hybrids in the past 20 years, we have never seen ANYTHING come close to this hybrid. The flowers mature with a light purple color, while the plant as a whole, being 50% Indica & 50% Sativa is a very high yielder with a very good stem to leaf ratio. Another plus about Frisian Dew is that it is not susceptible to mold. Put briefly, it is an absolutely premium quality outdoor strain. Frisian Dew is a DEFINITE must for any outdoor grower.